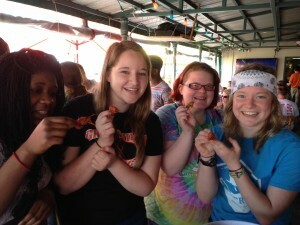 A group of students from Greenville College spent their Spring Break in New Orleans. Most people would assume that this was for rest and relaxation but on the contrary the group went into the mission field and worked with Reach Global to help Hurricane Katrina victims and others whom have been effected by natural disasters. The group split up, going to four sites in order to maximize work. Three of the sights were related to Hurricane Katrina and the other was a house damaged by fire. The mornings began bright and early with breakfast and devotion, followed by a full day of work. 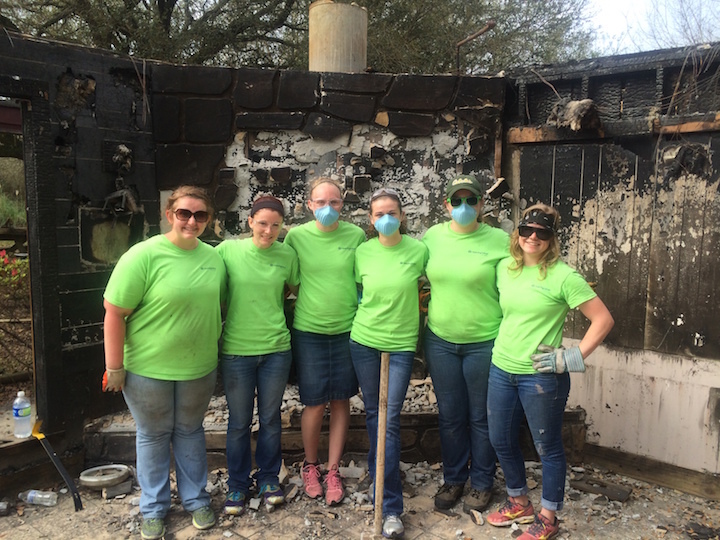 Throughout the week, the demolition crew would float around helping pull down what was left of the burnt house, breaking up concrete, and removing various items from the other sites. The ten year anniversary of Hurricane Katrina is this year and although years have passed, the devastation is still present in the city. When driving through the area you could see empty blocks with only one or two houses that had survived the storm and most of these houses were uninhabitable. Overgrown-lots were what remained of many people’s lives and the storm is still as real to the people as the day it occurred. During our week, we were able to pay a visit to a site that some of us had worked on during the interterm mission trip. It was great to catch up and see the progress of the church building that had once been completely underwater. We were able to talk to the church owner about the plans for the future church and services that would be held soon. We participated in prayer walks around the community in addition to our physical labor. Prayer walks consisted of strolling around the area simply praying for safety, hope, love, and reconciliation. Often we talked with the neighbors/community members to see if we could help them in any way or listen to their life stories. Many of the people we talked with shared their stories of Katrina and how difficult it was to get things back to normal. The thing that surprised me the most was the courage and determination of the people to stay together as a community. 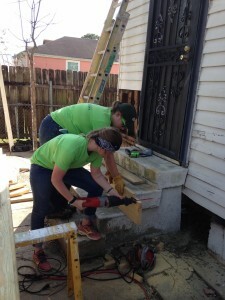 Although many people died or haven’t returned to the lower 9th ward since the storm, the people still help each other out and live life as a big family. Holly P. said, “The leaders here at Reach Global talked to us about how God is already working here. This was evident to me by the community within the neighborhood radiating Christ’s love. I have seen God’s love within the Greenville College Community I am here with. I have had several encouraging conversations with other team members, which have resulted in a lot of new friendships”. This just shows how not only were the homeowner’s lives changed but our lives were also impacted by the community in New Orleans. In just the short amount of time we were in New Orleans we grew closer to each other, God, and the people we came in contact with. 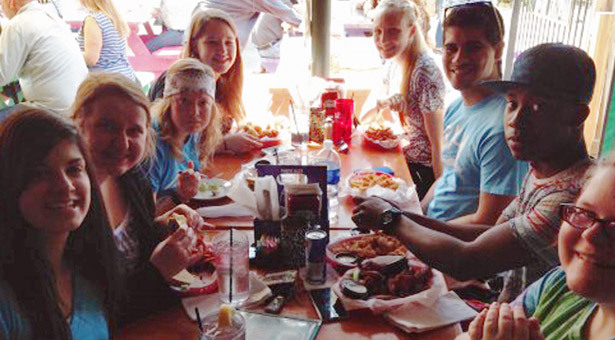 We are all now a part of a community that loves Christ and cherishes relationships to the point of becoming family. This Spring Break was one I will never forget and I look forward to returning to New Orleans on future trips with Reach Global and the Greenville College crew.